Pinterest is changing (slightly and slowly), just in time of their announcement, that we can now promote pins on their platform... However the app hasn't always been very user-friendly. When testing Pinterest's advertising platform last week, we were curious to know how long it would take for our Pin to load if a user wasn't connected to wifi (as this is exceptionally important for the results of our campaigns). Would this still count as an impression and questioned whether this would push up our CPM (cost per impression). Or do they operate a viewable impression advertising model only? Leading in tracking activity and ROI, we were prematurely questioning the platform's effectiveness for Direct Response and ROI. This was an issue for Facebook last year too, who changed their framework to accommodate users on the go. The other benefit for this meant advertising was even more powerful in regards to location targeting and results. This news, is exactly what we were hoping for, offering the users the best UX possible, meaning they'll engage with the app, our pins and clients boards far more then they could before, all leading to better end results. 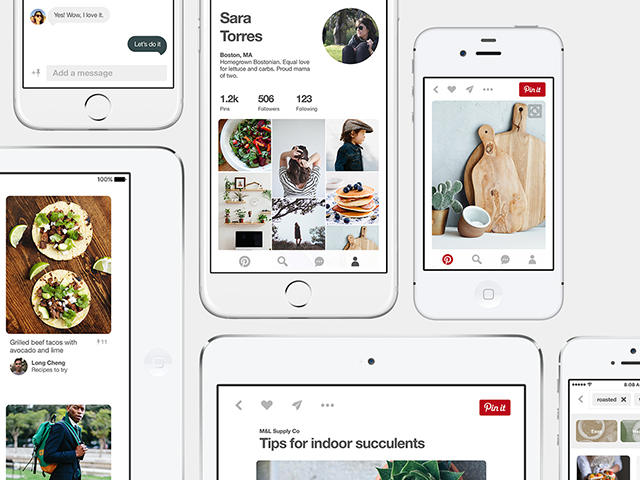 Pinterest updated its iOS application, improving its performance, adding “a new modern look” that puts more focus on Pins. With this update, Pinterest will now load content faster while users browse. Specifically, the app’s home feed now loads “up to three times faster” than before, so users won’t need to wait as long for images to load. In addition, the app is now “universally readable” in 31 languages. In a blog post, Pinterest product manager Adam Barton said these updates have “laid the groundwork for future improvements” for the platform: Now that we’ve rebuilt things in a smarter way, engineers and designers here at Pinterest will be able to develop features faster than ever before. In September 2015, Pinterest announced that it had reached 100 million monthly active users. As of December 2015, 1 million businesses had joined the site.